March can be a cruel month in the Chicago area. There is the potential for balmy days with zephyr’s teasing promise of summer, or it can be cold and raw, reminiscent of February. 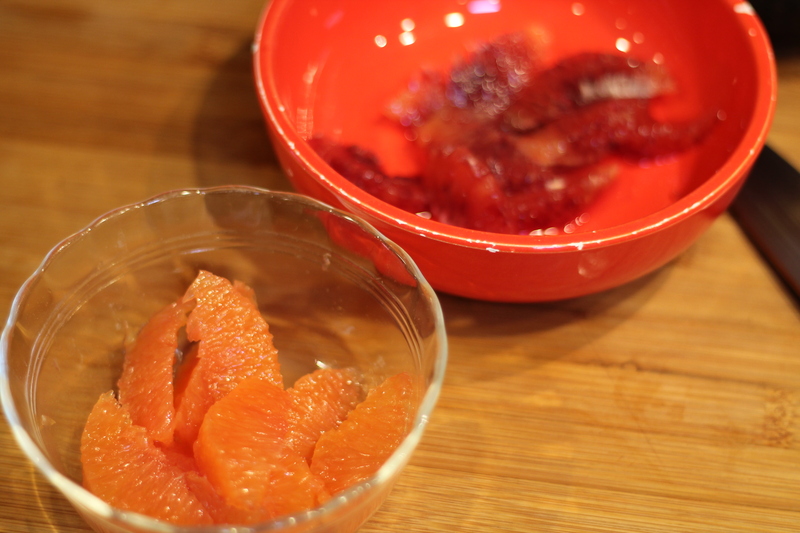 One bright spot is the end of citrus season with a great variety of fruit available. There are the ubiquitous navel oranges and now the more common Meyer Lemons as well as others, such as blood and Cara Cara oranges which are beautifully colored oranges. It’s also a good time for avocados. What’s the old phrase? Things that grow together go together? Well this is a perfect example. 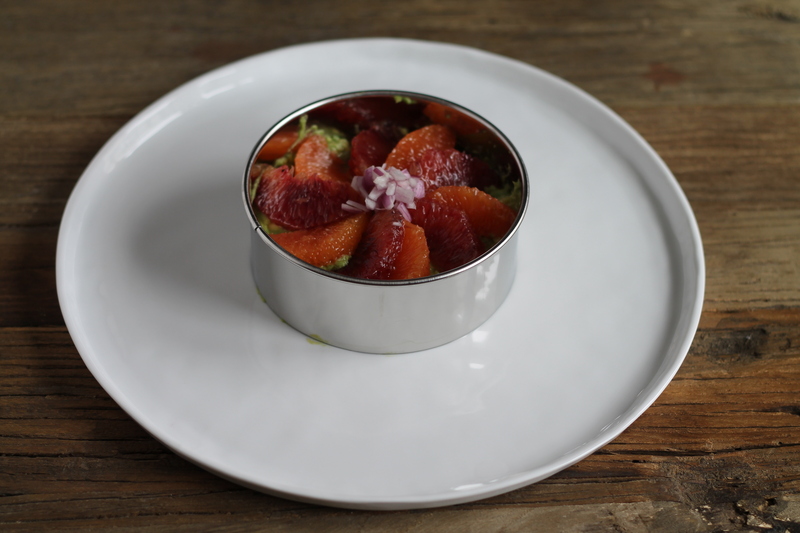 The creaminess of the avocado, and the sweet acidity of the citrus play very nice together. Place diced avocado into bowl, add a pinch of salt, tablespoon of lemon juice (to keep the avocado from turning brown) toss gently to fully coat. Trim each end of the citrus, place flat edge of the citrus down and using a sharp knife cut the peel off, working your way around the fruit. 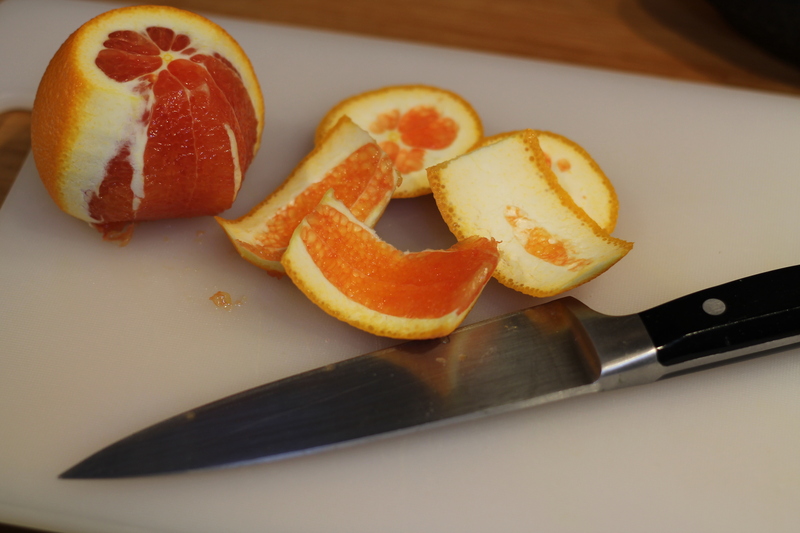 Once you have removed all the peel and pith, very carefully cut between the membranes releasing individual segments. These segments are known as supremes. If using a form, place form on serving dish. Scoop avocado into the form with a spoon, using the back of the spoon to gently press the avocado into the mold. Arrange the citrus supremes in an attractive patter. I chose a flower patter, alternating the blood orange with the Cara Cara. Just before serving, remove the form. Eat this on a cold dreary day, and I promise things will look brighter! 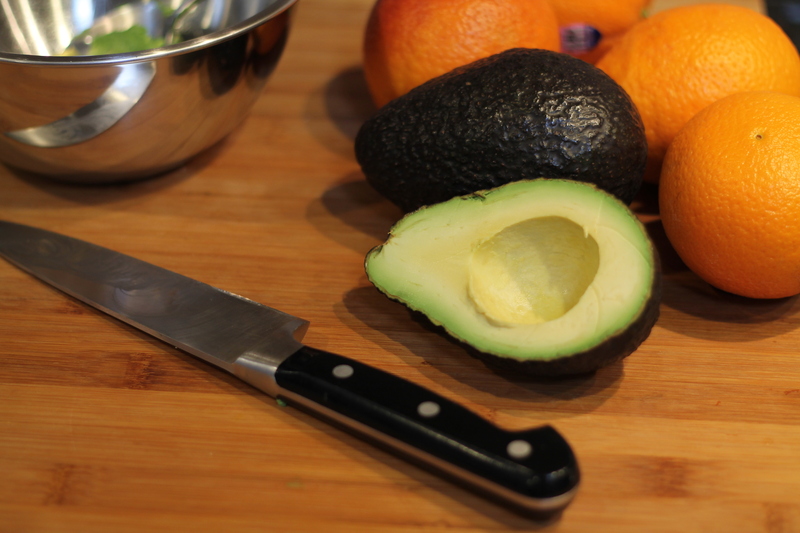 Getting properly ripe avocados is an uncertain business over here. All too often the ones described as “Ripe and ready to eat” are rubbery and never ripen properly at all. We like to use them in a Ciabatta sandwich containing bacon, cheese avocado and cranberry sauce. Not as healthy as your dish though! Fortunately they are readily available here Mark. I usually be a a couple “ready to eat” and a few that are quite green. That sandwich sounds good! Now this is a great looking dish, David, and I bet its flavors are wonderful. I didn’t get any Meyer lemons this year but I have managed to get my fair share of blood oranges. A bowl full of citrus is not the same as sunshine streaming through the windows but it will bring a smile to my face every time. It’s pretty subtle John, but the flavors do complement each other. I’d also consider adding bit of bacon for a salty counterpoint and a bit more chew. Hi, great, simple, delicious recipe. Thanks! I would like to subscribe to your blog and receive each post by email….is this possible? I do not wish to follow on social media. Great job, by the way. I just found the “newsletter” link at the very bottom of your site, so never mind! Thanks. Thanks Tracy! It is a super simple recipe, and very pretty too. Glad to have you join us.